Manchester United did not manage to beat Liverpool, but the goalless draw at Old Trafford brought a hard fought point. In fact, it looks like a great achievement, considering Ole Gunnar Solskjaer had problems with five injuries to his players. In the end, stopping Liverpool in their tracks was even harder to do, but despite all of the health issues, Man United’s performance showed all the spirit this team has. When it was tough, they were ready to fight. As the substitutions kept happening in the first half, the team was not falling down. Man United were a far superior team in this match, as Liverpool never really put United into trouble. The win could have stayed at Old Trafford, but the context of this 0-0 will keep United fans content. First it was Nemanja Matic who got injured on Saturday, during training. He will be out for a month, but then it was 21 minutes into the match when Ander Herrera had to leave the pitch. 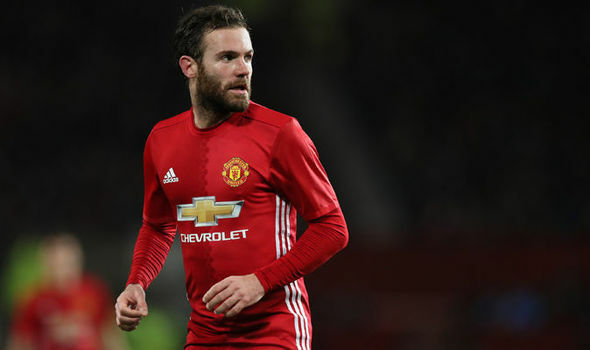 Juan Mata was next just four minutes later with a muscle injury and Jesse Lingard came on. The Englishman himself got injured just couple of minutes before half-time and the third substitution was made. Marcus Rashford played the whole match injured, as Solskjaer confirmed afterwards he got hit by Jordan Henderson early on. In the end, this point was that much bigger, as the circumstances made things much harder. However, Man United could have plenty of issues in following weeks, depending on how serious the injuries are, as their push for Champions League could be in danger. It is still early to say more. Manchester United started in a 4-4-2, with a diamond midfield, as Matic was out of contention. It did not work as well as Solskjaer hoped. Liverpool had enough space in wide areas to create problems and at times it looked like things were not clicking. But then the manager made a change at half-time, switching to a 4-3-3 which proved to be a good move. United were more dangerous in second half, creating several half-chances and one big one. They failed to score in the end, but it was very positive to see the manager get things right tactically. Where he did not get things right was probably in regards to substitutions after injuries. Jesse Lingard came on after 25 minutes and played for just 18 before he had to limp off. He was already coming back from an injury earned 12 days ago and it all looked like he was rushed to soon. It was a gamble Solskjaer was ready to make, wanting to have the best possible chance of winning the match, but the whole idea backfired. Now he has another player injured who will have to wait a little longer before returning to action. It is definitely a learning curve for the manager, but it did show his thirst for a good result in a big match.